Termites are a headache that no one needs. That is why we offer a reliable treatment process that takes that headache away. We are offering a 2 year Guarantee with our termite treatment process. This means is that if termites are found in your home/business, we will come out and first, inspect the situation, then walk you through our treatment process step by step so that you are confident in knowing what it takes to get rid of these pesky little creatures. And then when all of your questions are answered, we will provide you with a very detailed, free estimate that is fair and competitive. Also with the 2 year Guarantee we offer the option to renew the guarantee every year after that if you would like. When buying a home/business, you are making a great investment and you definitely want to protect that investment. That’s where we come in. Once you have your house/business all picked out and are going through the motions to purchase the home/business, give us a call. We will visit your new home/business to do a proper Pest Inspection that will answer: Is there any wood destroying insects in my house/business? Are they causing any damage? Has the house/business been treated for termites in the past? If any wood destroying insects are found, can they be treated properly? If no wood destroying insects are found, will there be a guarantee for the inspection? 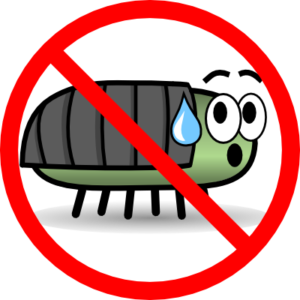 What type of guarantees are offered for other wood destroying insects (IE carpenter ants, wood boring beetles). Will I get the right paperwork that is needed for the purchase? And any other questions that you might have as well. Give us acall today for your next great investment. If you are building a new house/business or just completed construction, we can protect that as well. With a new construction process, we come out and treat the ground that your new house/business is being built on. With this treatment process, you as the new home/business owner will also receive a 5 year Guarantee.